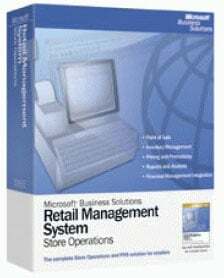 The Microsoft Retail Management System is designed for small and mid-size retailers as a user-friendly, cost-effective, scalable method of single or multiple store operations management. The software features full point-of-sales capabilities, inventory management, security options, customized reporting, customer and employee management and interfaces with leading accounting packages, including Microsoft and QuickBooks. 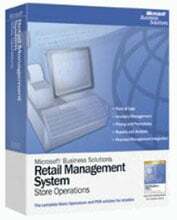 Microsoft Retail Management System consists of two separate software components which are purchased separately. First, Retail Management System Store Operations is purchased to operate individual store checkout lanes. Each checkout lane at each individual store requires Retail Management System Store Operations software with a license key (also called a dongle). Pricing is provided below on a per lane basis for up to 5 checkout lanes. For 6 or more checkout lanes, please e-mail or call for a quote with improved pricing. Second, once a retailer has multiple stores, Retail Management System Headquarters can be purchased to allow all of the checkout lanes and stores to communicate and transfer information to create one centralized database of sales, inventory, and other information. For more information on Microsoft Retail Management System, please click on our specifications tab below. The Microsoft RMS-251 is also known as RMS-251	or RMS251	.